When you are in your twenties, waving your arms desperately at corporates hoping to hitch a ride with them, the prospect of earning money without as much as lifting a finger is thrilling. Then you hit your thirties and are thick (or at times, reluctant) friends with responsibility, easy peasy money charms you in the same manner as it used to in your twenties. In your fourties, a world tour with family and kids planning to be doctors and engineers in little less that five years or so again reminds you of money for which you wouldn’t have had to do much. Easy money which blows in like a breeze is liked by all with age being no bar. And if somebody pays you money for spending money, “OMG!How?Where?When?” follows in its wake. We all appreciate free apps (like,why would you want to pay for saving money?). This one is for both iOS and Android users (and is raved about by both set of users). One registers with the app (either through a Facebook account or, by following the good old registration procedure) and then feed in the loyalty card (of a grocery chain) details into the app.This would let you browse through a plethora of offers available on varied products from which you can choose from and add to your ‘to buy’ list. Head to the grocery store the next moment (or, day), buy the product and pay its full price…then what’s the use of the app? Well, either use your loyalty card or retain the receipt (in case of payment made through a bank card or cash). In case of a loyalty card, saving star would be intimated of the purchase made by you by the store. In the latter case, send them a picture of your receipt. In both the cases, you would be able to avail the benefits of savings. Once your account hits 5$ or an amount more than that, request SavingStar to pay you through PayPal or bank transfer or gift card. Sunny side up: It lets you prefer the mode of payback. Sunny side down: Can only be used in stores with a loyalty card option. This one here makes you exercise your grey matters for earning back the money spent by you. 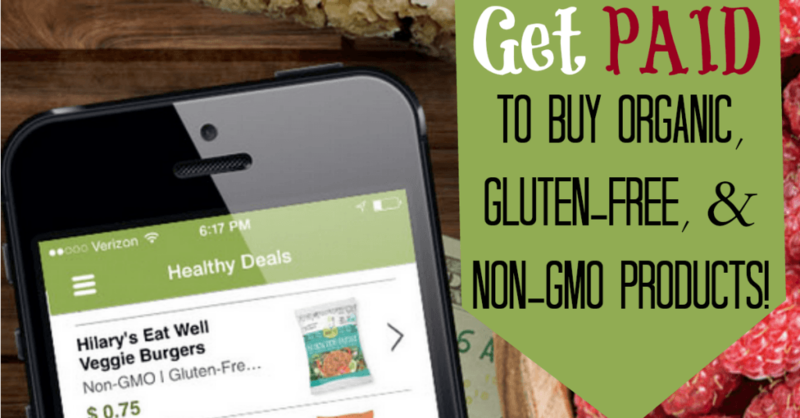 As the name suggests, it is all for healthy, gluten-free addict, organic food worshipers! Browse through the various offers on such health-loving products, add them to your cart, make a purchase and send them a snap of your receipt. Then follows the grey matter exercise-answer quizzes, read do’s and dont’s or write testimonials in a segment named as “Bite-sized insights about each product”and then get paid through PayPal or gift cards. 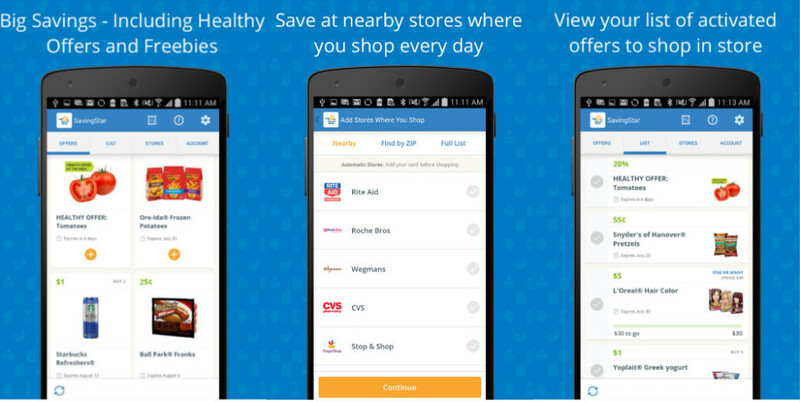 Sunny side up: This app can be extensively used at all stores which stock up organic food. Sunny side down: No bank transfer & not for extra cheese and carb loving people Ibotta. Teamwork is always rewarding and this app is fundamentally built on this foundation. It does all the usual things a money back app is expected to do and even more. Sunny side up: If you love a retail more than a grocery shop, this app is built for your device. All you need to do is read a fact or two about the company (which owns the store you’re planning to visit ), cast your vote for a poll question or two and unlock the cash rebate for the store. Scan the receipt post purchasing and wait for your account to hit 10$. Opt for PayPal or gift card to be paid back. Tada! You just a got a teeny-weeny bit rich. There’s more. If you sync the app with your Facebook account, people (from your friends list) who avail Ibotta would let you reap favourable results. For instance, you’d receive a whopping amount of bonus for an increase in rebate redemption noted in case of your team. Sunny Side down: In the past, a handful of its fan-followers have reported difficulty in scanning a copy of the receipt. But then, mean apps like Ibotta respect customers. And therefore, they now support QR code scanning. An option one can fall back on some odd days. All set? But before you dive into the cashback sea, educate yourself about the toothless sharks whom you must not warm up to. They are lousy and would make you lose your faith in sharks. How many products do you buy when you are at a grocery store? More than a twenty, right? So what’s the use of an app which has offers on roughly a twenty or so products (of which you probably are planning to buy a thing or two. The others on your grocery list are not available on the app for rebatement). Meaning, CartSmart is for those smarties who love to kill time and achieve nothing. Adding on to the sunny side down, the app has limited store listing, as well. Taking a cue from CartSmart, this one here also has limited written all over it. That what is available for rebatement either wouldn’t be bought by you on a usual day and the updated list of offers is not quite sufficient to quench customer’s growing thirst. Meaning, you are in for disappointing if you decide to install this one. The leaders in the coupon market failed to wow the customers with their app named Snap. Why? A mere listing of 40 cashback items would disappoint just about everyone. (Where there is no going, there is no linking) Choose wisely, Earn greatly !